House – Garage – Barn & 7 Acres M/L. Near Raywick KY.
Home, Horse Barn and 12 Acres M/L. 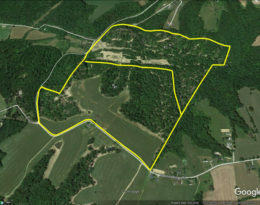 Coming Auction – Home & 110 Acres Bradfordsville KY.
Sold – 9.81 Acres In Greensburg KY. Brick Home On Danville Hwy. Copyright © 1990 - 2019 May and Parman Agency, Inc.